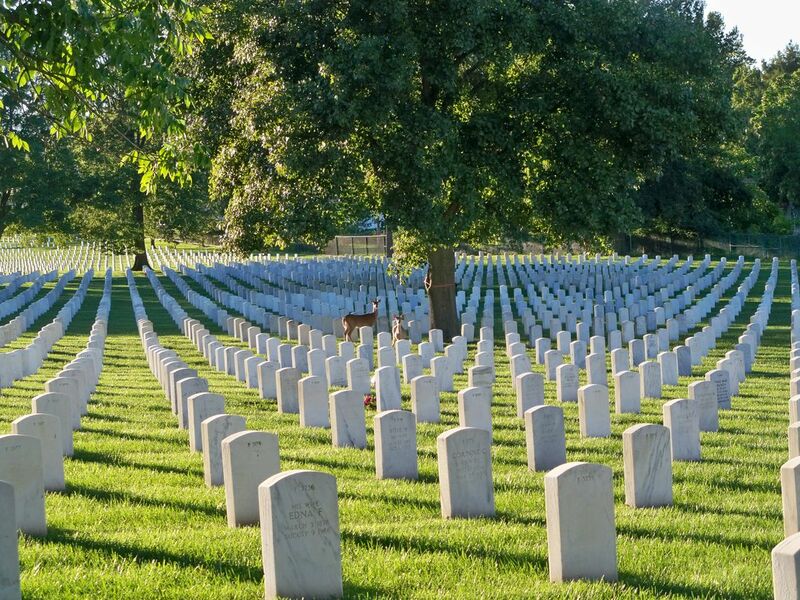 Beautiful resident deer at Jefferson Barracks National Cemetery on a gorgeous day! My husband and I have spent thousands of hours respectfully walking through beautiful Jefferson Barracks National Cemetery (established in 1826), honoring the almost 200,000 veterans buried there, and enjoying the breathtaking grounds/view of the Mississippi River. Sometimes we are lucky enough to see deer quietly walking through the peaceful cemetery, and, of course, the deer are very aware of us, too! Date Uploaded: April 18, 2015, 1:55 p.m.